Effective window cleaning is hard work, and takes time and effort on a regular basis, especially during the wet months of the year when the property is being rained and snowed on quite frequently. Window cleaning takes a lot of elbow grease and a decent amount of persistency as even a small spot or blemish that’s been missed will stick out like a sore thumb. One the same note, window cleaning can also be dangerous as some windows which need cleaning are situated in awkward spots or high off the ground. The efficient and affordable solution that customers need is our professional window cleaning in Hammersmith. Using specialised assistance for something seemingly mundane as window cleaning might seem rather unnecessary, but the moment one starts cleaning the windows the need for specialised help will become quite apparent. Our professional window cleaning service in Hammersmith is the risk-free, efficient and budget-friendly alternative to doing all the scrubbing and rubbing on your own. The cleaning will be done quickly, safely and without any unnecessary fuss. We work with specially qualified cleaning technicians as this means reduced cleaning time and no risk of property damage or personal injury. The cleaners will arrive at your address on time, and fully equipped for the job. As expected, the cleaning teams are trained to use and apply only professional grade cleaning systems and materials for best results and no risk of damage. Organic stains from bird droppings which are a real problem and nuisance to clean will be no match for our specially formulated glass cleaning solvents. Your windows will be sparkling clean in just hours, and at a fraction of the cost! The cleaning products and materials we use are perfectly safe and suitable for all types of wooden, metal and composite material window frames. The cleaning equipment we use is suitable for cleaning pretty much any size window, from small bathroom ones to shopfront glass panes and all in between. Our products will not affect or alter the transparency of glass or any films covering the window pane. Of course, there will be no risk of mechanical damage such as scratching or cracking, as our window cleaners are qualified professionals with many years of experience on their belt. 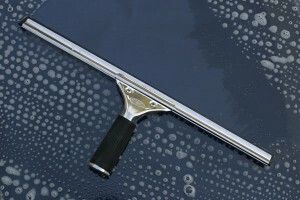 Our Hammersmith window cleaning can be requested as one off or on a regular basis. The regular window cleaning visits are a great way to keep the place bright, and dirt off the windows. As always, the frequency of the cleaning appointments is entirely up to customers to decide. Check our service area page to learn about which Hammersmith areas we cover. The Hammersmith window cleaning service we offer is moderately priced and gives customers exceptional quality cleaning results without the usual hefty price tag. Customers will be quoted correctly as per the type, size and number of windows which need cleaning. For best results and reduced cleaning time, we recommend having the window cleaning done in fair weather. Please be advised, that certain windows situated too high off the ground will not be subject to cleaning. Thank you for your consideration. And don’t forget to check out our after builders cleaning page.